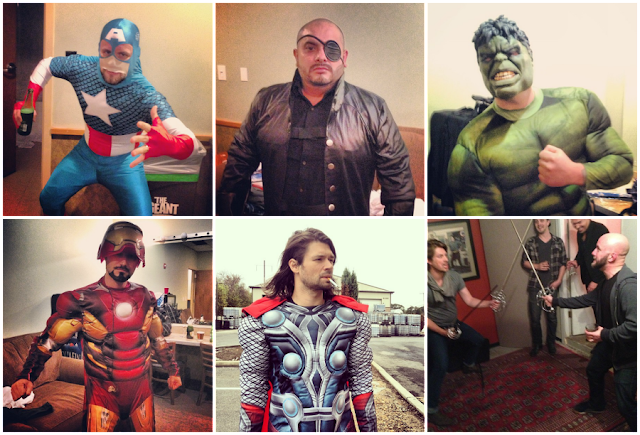 I saw these 6 ~*~wonderful~*~ photos on John (first 5) and Mark's (last one) Instagram accounts which were posted during Halloween, and the fangirl in me can't help but laugh and squeal in delight (especially at Photo #6, my life is complete!) So this definitely trumps any other supposed favorite things I had for posting. Hahaha. 6. Shaun Cooper fencing with Taylor Hanson!! !